If you want to shoot high quality photos and videos from up high, the DJI Mavic 2 is one of the best, most advanced drones you can buy. The drone comes with a 4K camera and 3-axis gimbal technology for super stable and smooth shooting. The DJI Mavic 2 Zoom model is equipped with a 2 x optical zoom camera, while the DJI Mavic 2 Pro features an amazing all-new L1D-20c Hasselblad camera. 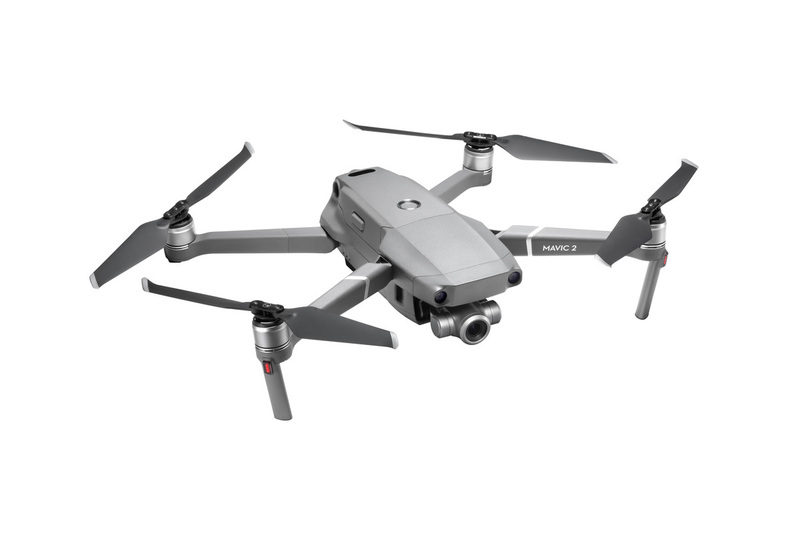 Both drones are fairly pricey -- the DJI Mavic 2 Pro retails for $1499, and the DJI Mavic 2 Zoom is $1249 -- but you really do get what you pay for in terms of quality and performance, and today you can get $100 off either drone from Wellbots. Just add the DJI Mavic 2 Pro or DJI Mavic 2 Zoom to your basket, and then use special code DJI100 to get your discount. Hurry though, as the offer is only available for a limited time.